Many employers require potential candidates to take employment personality tests as part of the hiring process. Our online PrepPack™ takes the secrecy out of personality tests and helps you understand what employers are looking for in a candidate. The personality test preparation pack includes four distinct test sections, "Single Trait Practice," a complete study guide, and a customized, detailed analysis. Practice now and see success. Today, the hiring process across a wide range of industries is becoming more and challenging, as companies use various assessment tests and interview. Large-scale companies such as Amazon, Microsoft, General Motors, as well as Airlines, banks, and health-care enterprises are now using personality inventories as a pre-employment test. More often than not, the interview managers take questions from the test and insert them into the behavioral interview questions during the hiring process. How to Ace Pre-Employment Personality Test? Contrary to the belief that you can not prepare for a personality test, our experience and customers show exactly the opposite. You can and should optimize your answers to fit the employers desired work profile. Start practicing now our full personality test, personalized reports, comprehensive guides and mini-tests for each personality test, and get accepted to your desired role. Our study guide will help you prepare for any personality test, providing you tips and information on how to succeed as well as how to read instructions. We also offer a unique complementary study guide that is profession-specific, which means that if you are applying for a particular position, the guide can help you understand which traits are essential for that role. We offer guides for the following professions: management, administrative, customer service, sales, technical, and many more. You can start studying with the Free Online Pre-Employment Personality Test. Each personality test draws a personalized personality profile which the employers examine with concordance to the position requirements. 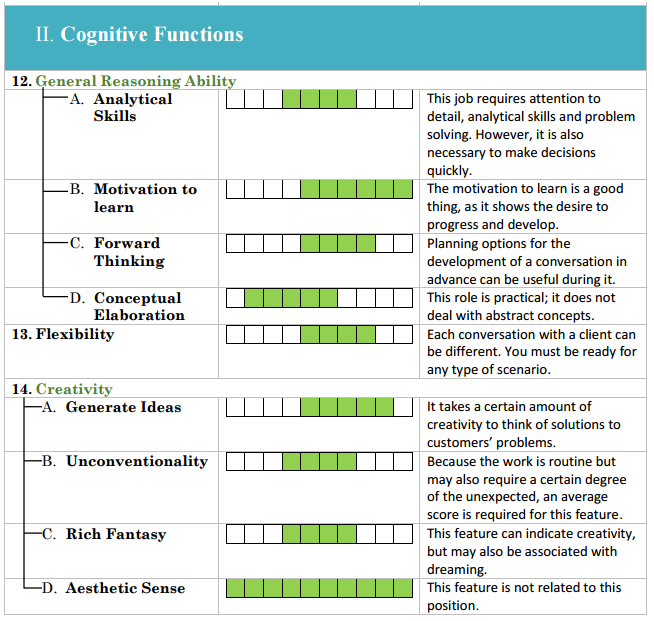 Each position desired different range of answers for each trait. Employers tend to use the personality report and questions not only on the test itself. 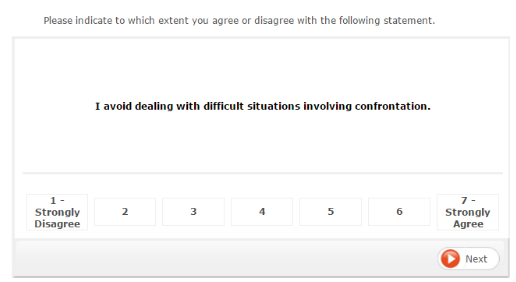 Employers use personality trait specific questions also in a face to face interview as a behavioral question. Besides, employers ask questions on specific trait result of the personalized report. For those reasons, understanding what valuable position related trait stand for, can contribute to your success in several stages of the hiring process. In order to help you, we added questions for each trait, so you can understand via practicing what each trait stands for. All in all, we provide 50 traits single test in addition to our personality main test. One of the services we are working on right now is online professional tutor to assist with the personality test result and assist with more tips. Such tutor gives you a one on 30 minutes session in which you can approach with any question arise regarding the test traits and results. Our professionals can help you analyze your report and you improve in specific traits important to you desired a position in addition to the information given in our professional and theoretical guide. Since employers are using personality traits in the job interview as behavioral questions as well, this service is becoming more and more valuable especially in management positions and high competition hiring process. Below is a sample of part of our personality guide, describing why certain traits are desired for a specific job. The guide will show you what the employer looks for when hiring, and help you understand how to present your true self through the test. 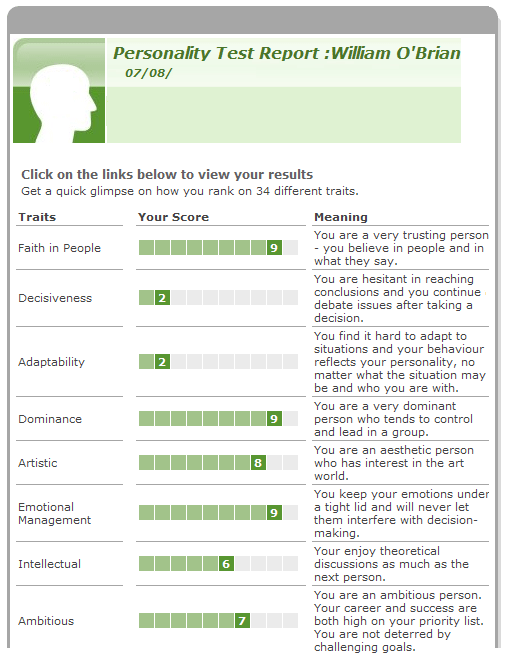 Below is a sample personality assessment report. You can use this report to compare your results to the ideal results. This will allow you to see how you fit on the desired profile and where there are discrepancies. Since there are no right or wrong answers on personality tests, our personality score report doesn't give specific answers for questions, but only a general appraisal of your personality profile, as reflected by your answers. Personality tests tend to differ from one another, so JobTestPrep offers you a strategy for and an understanding of how each of these tests works. Our resources will help you get excellent scores on any personality test you take.